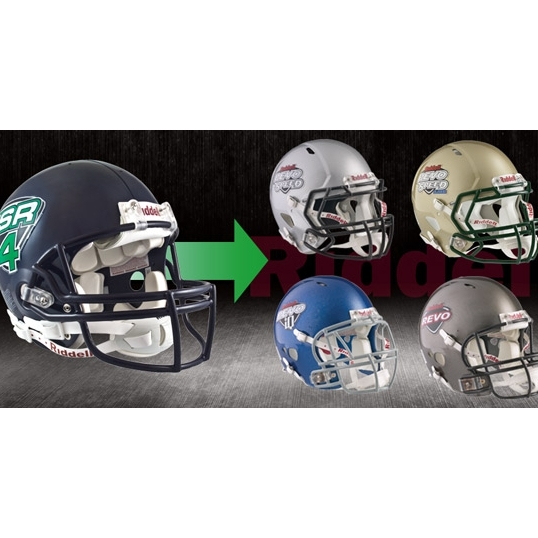 Today, Riddell announced that they will offer $50 off the catalog purchase price of any Riddell Revolution® family (Riddell Revolution®, Riddell Revolution® Speed, Riddell Revolution® IQ and Riddell 360™) adult helmet for the trade-in of any VSR-4 adult helmet. To take advantage of this trade-in program, please contact your Riddell sales representative at 1-800-275-5338. Easton-Bell Sports, Inc. is a leading designer, developer and marketer of branded sports equipment, protective products and related accessories. The company markets and licenses products under such well-known brands as Easton, Bell,Giro, Riddell, and Blackburn. Easton-Bell Sports’ products incorporate leading technology and designs and are used by professional athletes and enthusiasts alike. Headquartered in Van Nuys, Calif., the company has 30 facilities worldwide.